MM55, MM88, Up to 100 Square meter CQB. VFR22, VFR62 the first ever Virtual Fire Range! Use your own real weapons in virtual CQB! 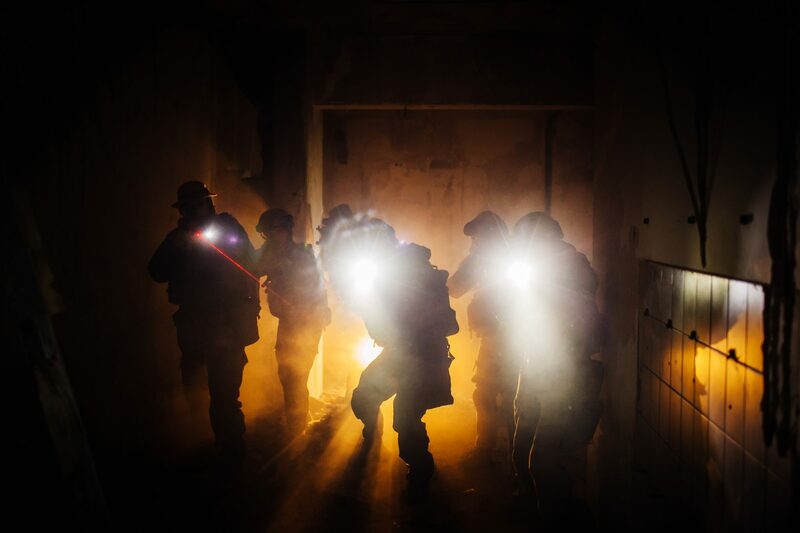 ModulMaze™ products by ASTERION® train special forces on four continents! Our customers are the best proof of our seriousness and reliability. VFR comes with different fire range environments, precision analysis of each trainee through time. Dynamic mode and target selection. The economical and space-saving training solution for all units! ASTERION VR is proud to announce that we have exceeded the number of 150K VR sessions in the world in just 12 months! This makes our company one of the world’s largest providers of mixed virtual reality experiences. ASTERION Created the Merged Reality and enriched the virtual with real walls. We blurs the lines between real and virtual reality ! 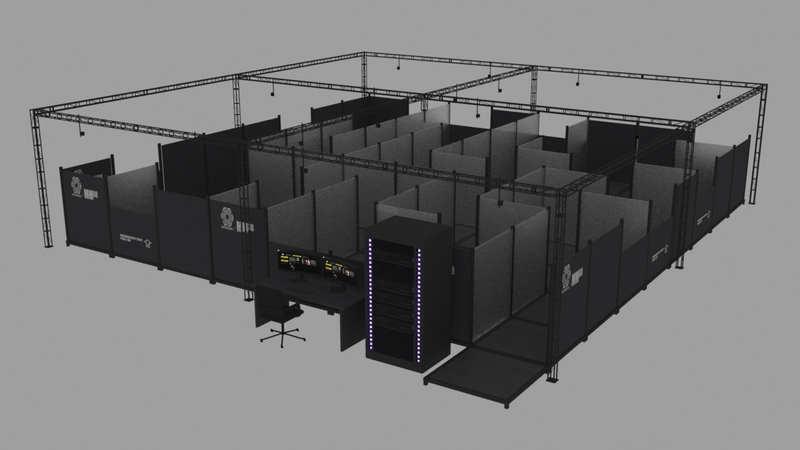 We create turnkey solutions that bring you the best immersive Virtual Reality training CQB called ModulMaze™ . Our technology blends VR and reality in Mixed Reality, thanks to our proprietary indoor hybride positioning technology. 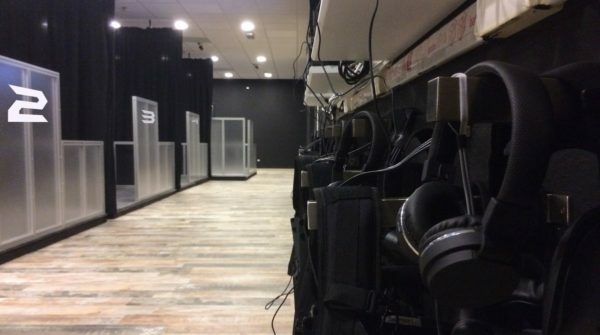 ASTERION’s LE and Military training simulations use our HMD VR Headsets with endogenic inside-out tracking system, our weapons’s tracker ThorV2 allow the use of real firearms, it’s one of the world’s Most Accurate, Lowest Latency, Inside-Out Positional Tracking. 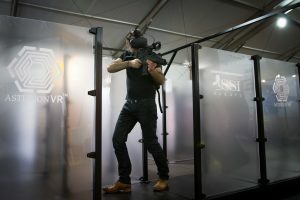 ASTERION has been developing Virtual Reality simulators for special forces for more than 15 years. This seniority allows us to develop rugged tools adapted to our customers, and an unparalleled quality of service. Our board teams are made up of Doctors and specialised engineers renowned for their expertise in the field of XR technologies. 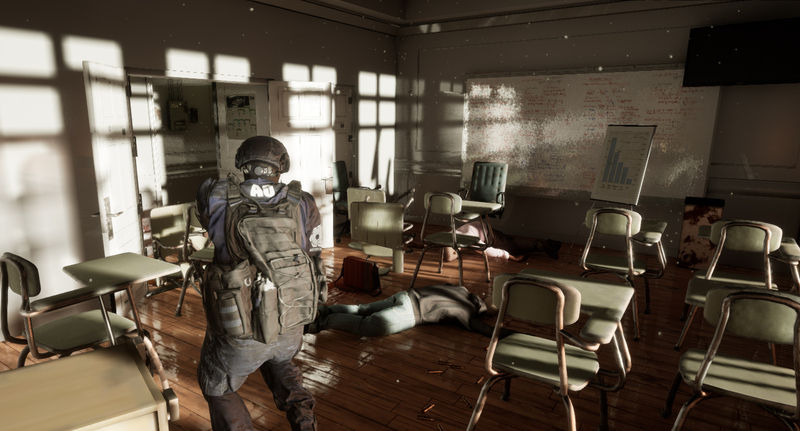 The best video game artists work in our studio to provide an efficient simulation experience. 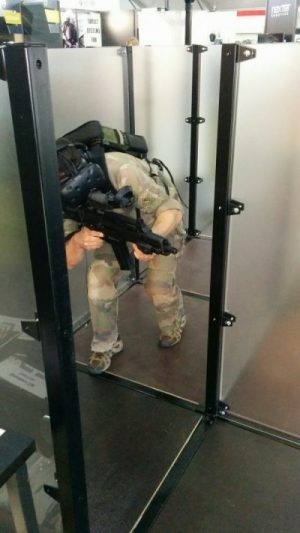 High quality HMD and body feedback, make special forces feel they are inside the virtual reality, real collisions blur the lines and offer an unmatched simulation experience. 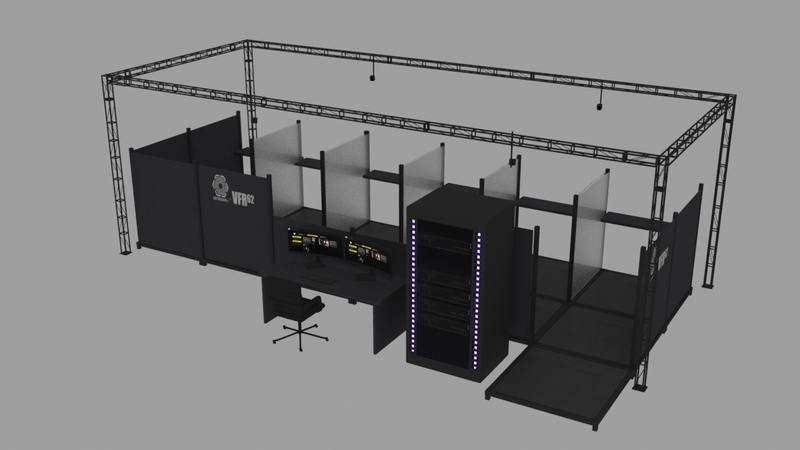 ModulMaze™ our modular VR CQB provides high quality immersive experience and cutting edge visuals. Thanks to Unreal Engine™ technology our developers coming from major game companies as Ubisoft™, are able to deliver incomparable simulation efficiences. 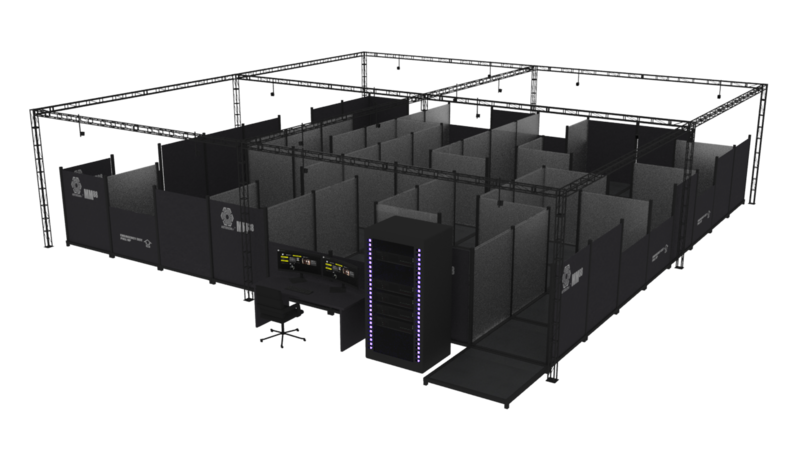 ModulMaze™ MM55 is a 42m2 / 452 ft2 CQB, MM88 with a base of 3.2 feet is a 108m2 / 1160 ft2 VR CQB, able to evolve, depending of the Virtual environment configuration you have designed with our proprietary tools. 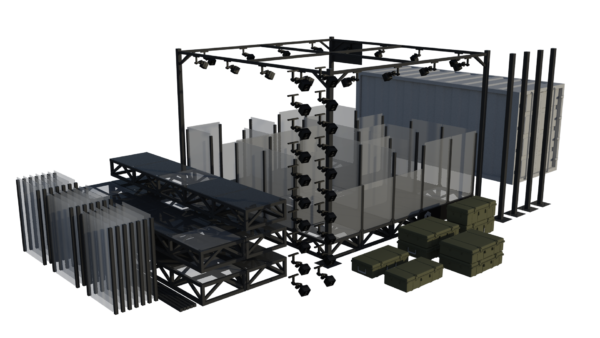 ModulMaze™ is a turnkey fully connectable even through upgraded versions. Above all, we recognize that each client has differing needs. Due to our ModulMaze™ , your are able to design the maze you need depending on the area you have. Floors and surfaces without limits ! Through false elevators, ModulMaze™ creates infinite Virtual environments. Clients design Virtual spaces as they need them, and ModulMaze™ updates automatically its settings to make reality match with virtuality. Blending real and virtual areas gives the opportunity to train during hours in ModulMaze™ without having to quit. Reliability, together with our unique after-sales service, which is the best possible guarantee for every investment. Many ModulMazes are installed all over the world (Europe, Africa, Asia …). With more than 1800 users every day, we guarantee exceptional after-sales service and unrivaled robustness. 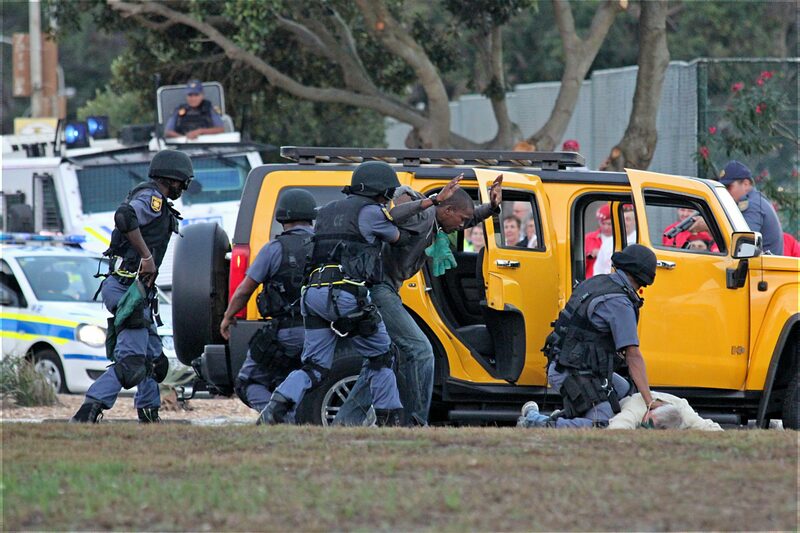 Military: CQB – Hostage-taking – Suicide Bombers – Patrolling – Checkpoints, Embassy. Your service can also choose to make us develop one for you, depending of your needs. 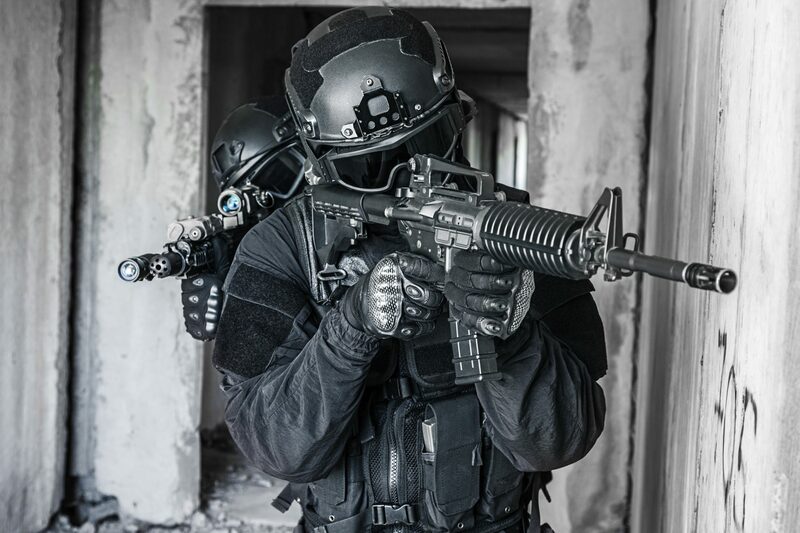 ModulMaze™ Next Gen CQB! You need it! ModulMaze™ uses the best video game technologies as Unreal Engine™. Our teams, are composed of talented recognized scientists, engineers, and artists, who come from major research laboratories and video game studios as Ubisoft™. All the tools you need to set and analyse simulation sessions with instructor! ASTERION VR® technology blends VR and reality in a Mixed Reality , thanks to our HMD VR Headsets with endogenic inside-out tracking system and our weapons’s tracking system who is one of the world’s Most Accurate, Lowest Latency, Inside-Out accurate virtual aiming system. 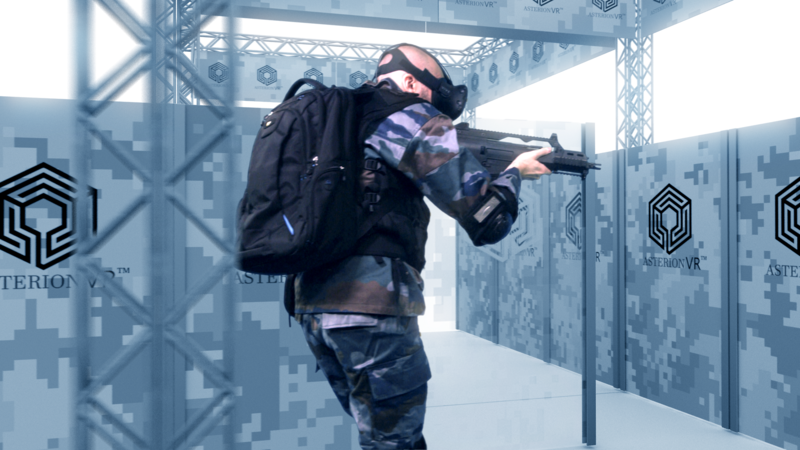 ASTERION VR® has also developed tools to give the instructors and users the possibility to enhance each day their skills in VR CQB ModulMaze™. These tools are combined in the BlackBull™ softwares suit but can be acquired separately depending of the client needs. 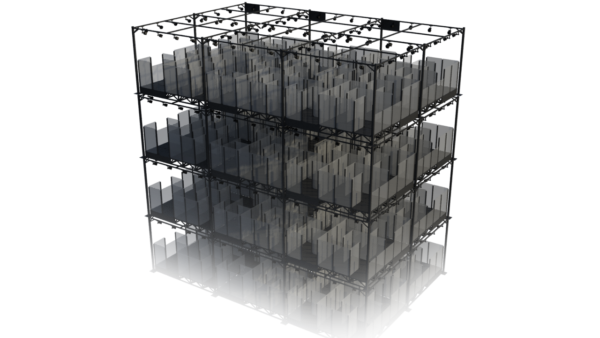 ModulMaze Designer™ allows you to design the virtual environment, and generate the real maze settings. 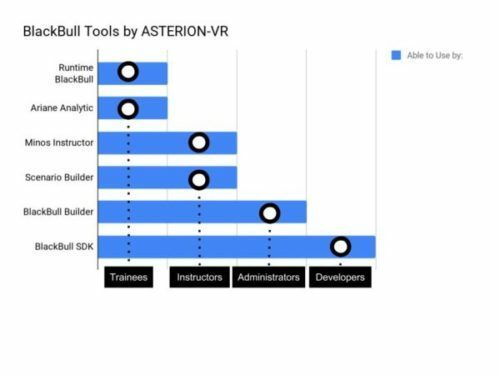 Other ASTERION VR® softwares give the instructors abilities to manage opponents: IA, skills and strategy in real time. The Analytic module allows instructors to record and debrief the training session with users. BLACKBULL by ASTERION ™ allows clients to manage ModulMaze™ settings. 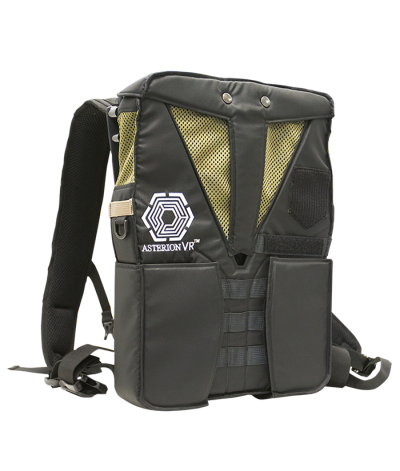 Including the association and management of each Backpack associated with each user, with the automated startup of remote licenses, remote take-over of Backpack and reading information about battery loading rates, run temperature etc. BLACKBULL systematically creates a highly secure VPN connection with ASTERION’s servers. This allows the automatic updating of the licenses, the Backpack On-Line services and the interconnectivity of ModulMaze. The ModulMaze Designer™ is the core system of the ModulMaze™ Software. This module gives you the ways to design your own Virtual Environment. Depending on the conception, the ModulMaze Designer™ produces an automatic map to generate the real environment. ARIANE Analytic™ records all the user’s paths in the virtual world. This function allows the instructors to debrief each training session to enhances the simulation quality. Ariane lets the instructor to know the number of ammunition fired by combat zones and the accuracy of all shots. ASTERION Minos Instructor™ provides an opportunity for the instructor to modify in real time some specific aspects of the simulation, as the opponent’s strategy and behaviors. ASTERION VideoRecall™ allows the instructors to record all the users actions during the training session. We are very excited to allow ASTERION VideoRecall™ users to go back into the simulation and view the recorded actions in “God Mode”. Allows to analyze all actions in Slow Motion. ModulMaze™ is based on a complex technology basically developed by ASTERION VR, UCO University and CLARTE Lab. Hytrack™ The blended “Inside-out indoor positioning” system used, allows users to evolve in a complex architecture with lots of visual occlusions. ModulMaze™ is an amazing program completed by the possibility of using realistic weapons with shooting recoil. 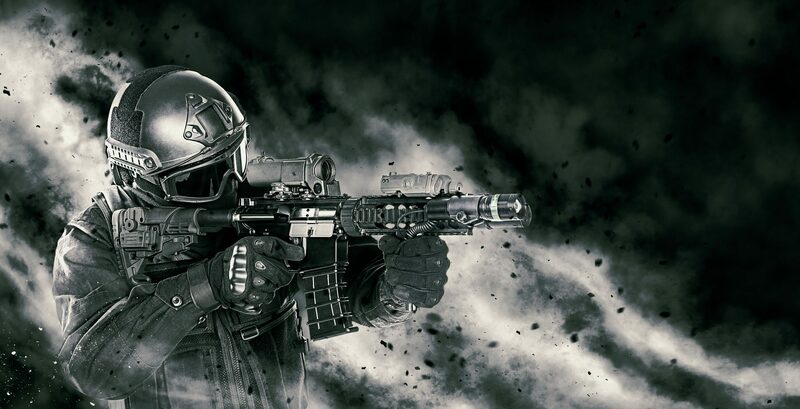 In CQB ModulMaze forces can evolve in simulation using their own real weapons and repeat tactical reloading. 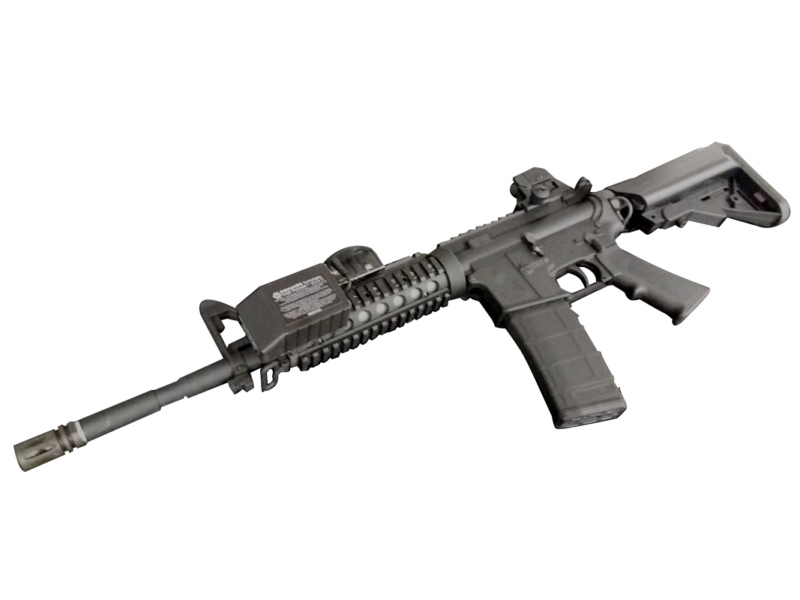 We also designed Co2 weapons according to the real weapons that men use situations, these weapons produce 70% of the real weapon recoil and allow tactical reloading. The ASTERION Inside-Out 3D position trackers are designed to easily fit the Picatinny MIL-STD-1913 brackets. Completely Wireless! Light package designed with Law Enforcement experts. 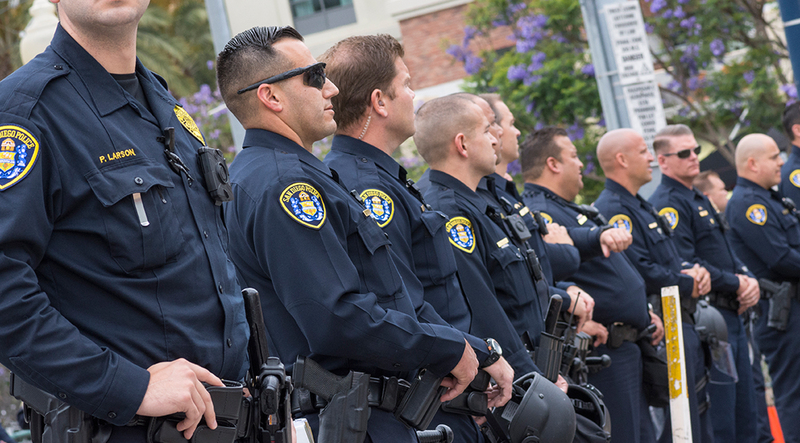 Backpack, tools and devices are designed by Law Enforcement experts to fully match with the real rules of engagements.